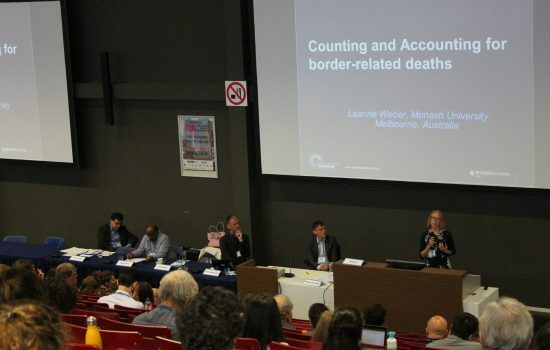 BOb’s Associate Professor Leanne Weber delivered a keynote address ‘Counting and Accounting for Border Related Deaths’ to an international conference on ‘Border Deaths and Migration Policies’ at Vrije Universiteit, Amsterdam on 14 June. The event attracted border researchers from a range of academic disciplines, representatives of large international NGOs and intergovernmental organisations, and members of smaller voluntary groups that deliver life-saving rescue, identification and support services to those who risk their lives to cross borders. Leanne Weber presents her keynote at the ‘Border Deaths and Migration Policies’ conference at Vrije Universiteit, Amsterdam. Leanne used the opportunity to outline the main themes from the book she published with Sharon Pickering in 2011, Globalization and Borders: Death at the global frontier and introduce the audience to the Australian Border Deaths Database that was compiled for the book and has since been maintained on the Border Crossing Observatory website. She discussed the various reasons for collecting data on border deaths and argued that ensuring that ‘every death counts’ was an important step in holding governments to account for the ‘structural violence’ of their border control policies. Leanne completed her address by considering the use of border deaths as a legitimating tool for governments seeking to present their externalised border controls as life-saving. She acknowledged that, while deaths at sea are still occurring in high numbers in the Mediterranean, in Australia large-scale deaths at sea had given way to much smaller, but still significant, numbers of deaths related primarily to offshore detention. She dissected claims made by Australian governments that it was necessary to maintain tough, pre-emptive controls, such as indefinite offshore detention, in order to prevent further deaths at sea. A full account of the argument presented can be found here. Leanne concluded that lives could be saved in ways that did not create more harm, and that secrecy around Operation Sovereign Borders and a lack of regional research made it difficult to know whether significant harm had been displaced elsewhere. On World Refugee Day, the Border Crossing Observatory would like to acknowledge the efforts of NGOs and researchers around the world in seeking to prevent, respond to, analyse, memorialise and protest deaths that arise from border controls. 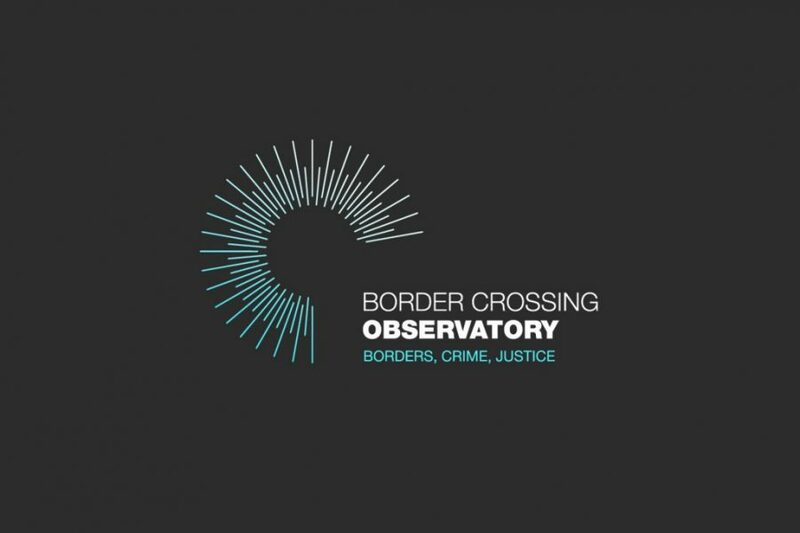 We would like to extend a special thanks to Thomas Spijkerboer and Paulo Cuttitta from Vrije Universiteit, for providing the opportunity for Leanne to represent the Border Crossing Observatory at this important event which was held under the auspices of their project Human Costs of Border Control.